Just a quick note for those interested in artists’ books–or in Mayan art and culture, for that matter. 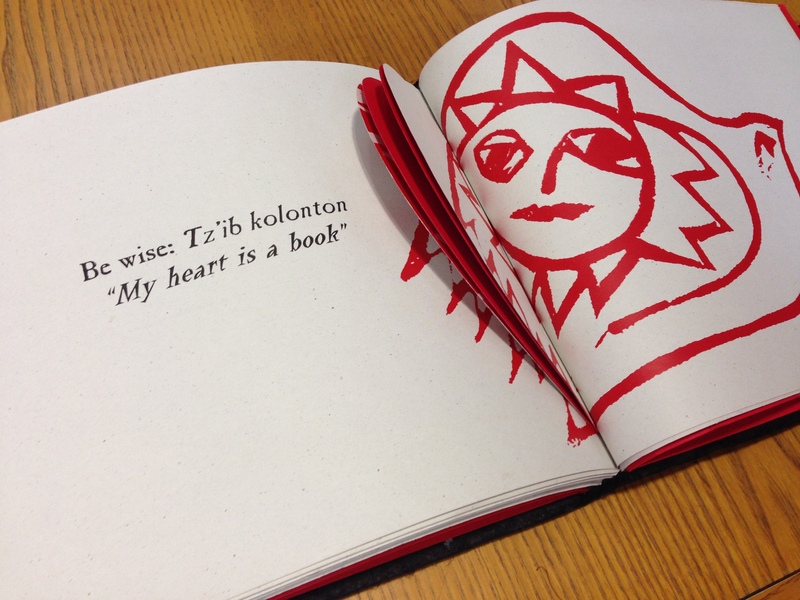 The Smithsonian Libraries very kindly passed on to us an extra copy of the artist’s book Mayan Hearts by Robert Laughlin, an anthropologist at the National Museum of Natural History and specialist in the Mayan language of Tzotzil. Mayan Hearts has its origins in the 16th century, at least, when an anonymous Dominican friar created a Tzotzil-Spanish dictionary. The original dictionary was lost in 1914, when the Mexican revolutionary army used its housing library as a stable (removing and destroying the books in the process), but a copy had been made shortly beforehand on the orders of Bishop Francisco Orozco y Jimenez. Upon encountering the dictionary in the vaults of Princeton University’s library, Laughlin was struck in particular by the Tzotzil use of heart-related metaphors to discuss emotion, and sought to illustrate and compile these evocative turns of phrase. You can encounter these Mayan metaphors and their modern illustrations–by Uruguayan artist Naul Ojeda–in our Special Collections room, along with the rest of our artists’ book collection. Researchers, fans, and students of Japanese art and culture–rejoice! 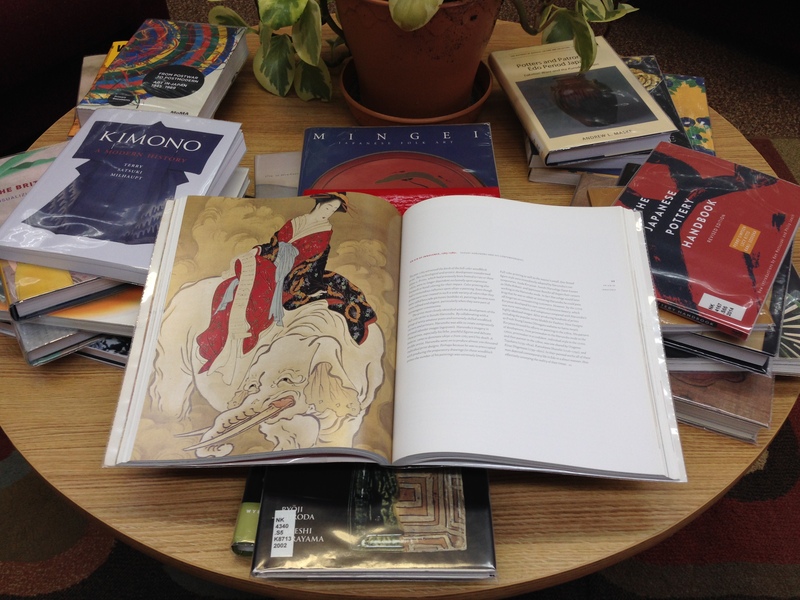 Scholes has just added 24 new books on Japanese art to the collection (with more on the way)! This exciting addition is due to a grant secured for the library by Professor Meghen Jones and myself (Art Librarian Eva Sclippa). The grant, from the Northeast Asia Council of the Association for Asian Studies, was awarded to help the Scholes Library update and expand its collection in the subject area of Japanese art. Upon arriving at Alfred University this past year, Dr. Jones quickly drew my attention to the limited scope of our offerings on the topic; upon further research, we discovered that over 75% of our books on Japanese art were published prior to 1975–the collection was desperately in need of revitalization. We’re very grateful to the NEAC for the support of this grant. The kimono is one of the most famous items or images associated with Japanese culture, and certainly with traditional Japanese clothing. But how much do you actually know about them? How did they become such an iconic garment? How are they used and worn today? And, regardless of all those other questions, do you want to see lots of beautiful pictures of really beautiful kimonos? Of course you do. Go pick up this book. If you want to go a bit further back in time in your studies of Japanese art, Davis’s book on Utamaro is one great way to do it. Utamaro was one of the most famous artists of the ukiyo-e (“floating world”) genre, known especially for his portraits and images of beautiful women. In this work, Davis considers Utamaro and his art in the context of the period, particularly the commercial print market. Earlier still are the lavish artworks in the Rinpa style, featuring bold, colorful images and plenty of shiny gold. This book reproduces images of Rinpa artworks beautifully, allowing the reader to sink into their luxuriousness. Carpenter also studies the influence of the Rinpa aesthetic on Western art. Japan may be more famous for the screens of the Rinpa aesthetic or the woodblock prints of the Edo period, but turning some of your attention to a less-studied era may be rewarding. In The Brittle Decade, the authors explore the vibrant art of Japan in the 1930s, a period full of curious mixtures of old and new–like a kimono patterned with images of tanks. Of course this is only a small sampling of the new materials we have for you! Come in and take a look at the new books shelf, hopefully before they’re all checked out. We encourage you to take advantage of The New York Times to enrich your educational experience. NYTimes.com covers a variety of topics with quality and depth through breaking news articles, blogs, videos and interactive features. In addition, you will be able to share content on social networks, save articles of interest, subscribe to email newsletters and set up personalized alerts. Your access to NYTimes.com is available from any location, on or off campus. Activate your Pass for free access to NYTimes.com by clicking here and following the simple instructions. You may also wish to view this short video. * Users must have a valid email address from Alfred University. Mobile apps are not supported on all devices. Does not include e-reader editions, Times Premier content or digital versions of The New York Times Crossword. This program provides only select access to The New York Times Archive and does not replace database services to which your institution may currently subscribe. Other restrictions apply. I am Melanie Miller, the newest staff member at Scholes library and the one word I would use to describe myself is curious. But I was surprised when some started putting on their aluminum foil hats and telling me that libraries won’t exist in the future. In the year leading up to me obtaining my dream job, I took some on line courses as a way to satisfy my ceaseless curiosity. I learned what librarians and library staff throughout the world already know: Libraries are about more than just books. Libraries are about information, and our rights to access information. Even though I have been a patron in various libraries nearly my entire life, this isn’t something I was ever conscious of. 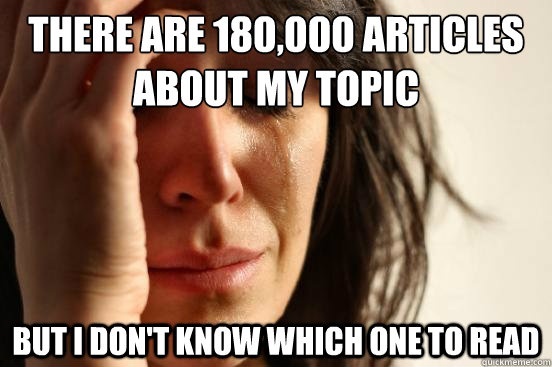 I wanted books and articles to finish a paper or for entertainment. I had the freedom to enter the library and access whatever information I needed to. To me, there is no better time for libraries to exist than today. 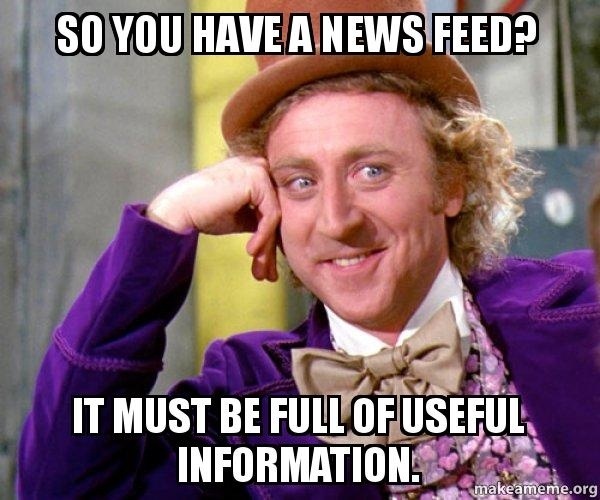 We live in a world where we have access to so much information, but not all of it is quality. There is an abundance of information at our fingertips, but how do we discern its accuracy, interpret its meaning and apply it to our lives? The role of libraries has never been more valuable. To be responsible citizens and good students (even long after we’ve obtained a degree), we need access to quality information. We could argue that there is more information available to us than ever before, and that is not a trend that will go away. How do we use all of this stuff? “But what about the internet?” they say. “I can find anything I need there.” I say it depends on what your needs are. Because if your needs are a macaroni and cheese recipe or what Kim Kardashian wore last week, sure, the internet will meet those needs. But ask any of our students searching through our extensive journals for a research project, or signing out books for their thesis, or anyone inquiring about the history of the College of Ceramics and seeing the archives. Can the internet meet those needs? Libraries are more than books. And if you ask me, the curious new administrative assistant at Scholes, no, the internet does not meet my curiosity needs.